I love those puffy crisp chile rellenos covered with their golden eggy batter, deep fried, filled with oozing cheese and served with a scoop of salsa. If a restaurant or cook can make that dish well, without being soggy or bland or greasy, they have my respect and admiration. It wouldn’t be wise for me to indulge in that particular version of the chile relleno very often though. 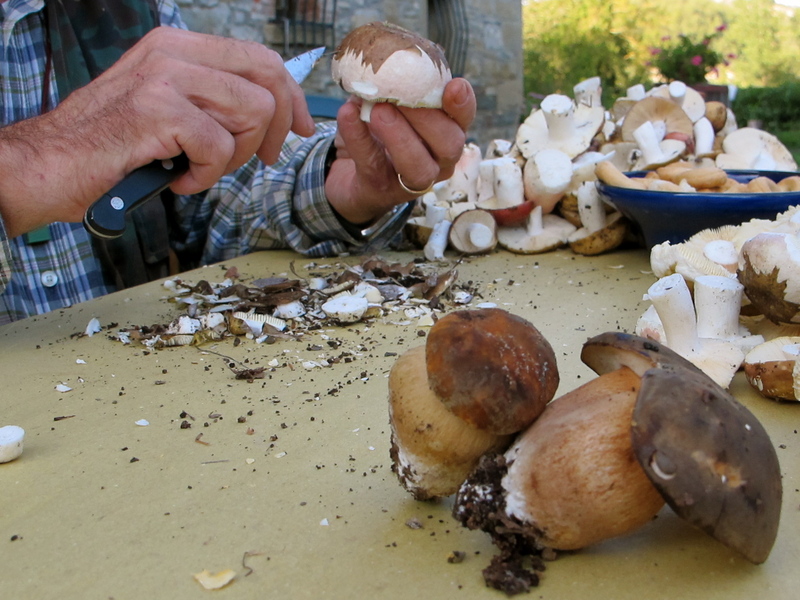 They’re a little too rich for everyday (or every week) consumption and they are time-consuming to make well. 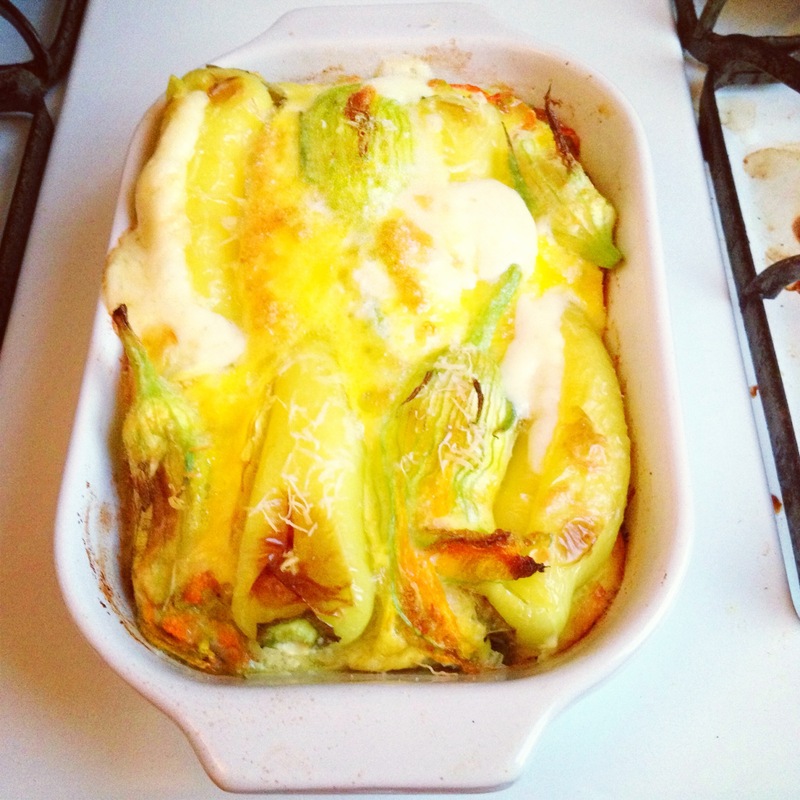 But “relleno” just means “filled” or “stuffed” in Spanish so I make my version with poblanos baked and filled with vegetables and just a little cheese. It’s satisfying without being too heavy and a lovely way to enjoy more peak summer corn and chiles. The only fiddly thing about this recipe is charring the peppers to remove the skin. I’ve made a lot of stuffed peppers of all types over the years and I cannot make one that I like if I don’t start with a somewhat cooked pepper. The timing of cooking is always off somehow, the pepper is still crunchy when the filling is disintegrating or the filling gets watery from the liquid that the pepper releases while cooking. So bear with me and try charring the peppers at least once. Dicing the vegetables into somewhat uniform pieces makes for a better bite; the combination of a fork-full of sweet peppers, creamy black beans, and the pop of sweet corn and salty cheese all at once is better than stabbing at lots of disparate chunks. I also like to add a little cheese to the filling right before I stuff the peppers. It adds a little bit of tang and richness and the fat brings the flavors in the filling together. If you live somewhere that has good salty crumbly fresh Mexican Cheese available, use that, but I have used feta and fresh chèvre when I can’t find the Mexican cheese and the flavor works well. Since cilantro can be such a polarizing flavor, I’ve omitted it from this recipe but if you like cilantro, stir some torn leaves in with the cheese. 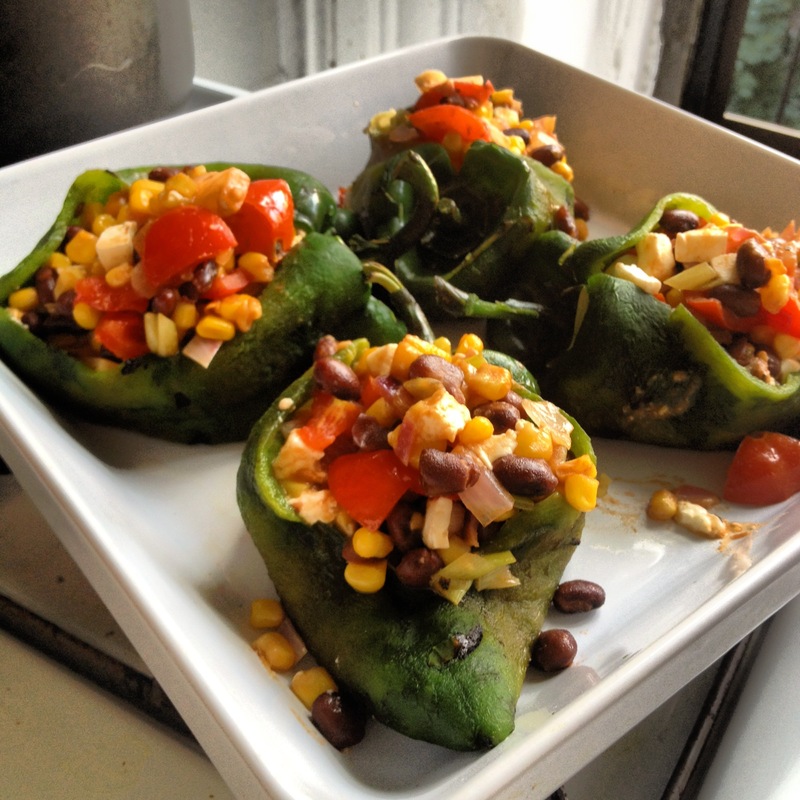 The amounts in this recipe can be adjusted according to the size of the poblanos. Think of it more in terms of proportions rather than exact measurements. 1 1/2 cooked black beans, rinsed and drained. 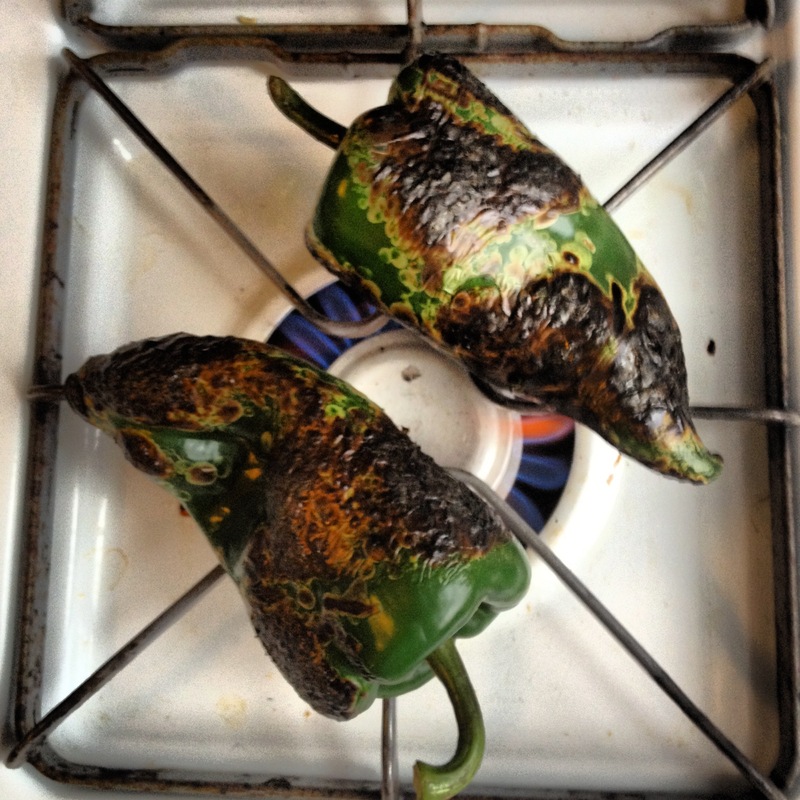 First, char the poblanos, either on a grill, on the burner of a gas stove, or under a broiler. Turn to blacken the skin evenly. When the chiles are blistered all over, put them in a bowl with a plate to cover them to steam a little and cool down to the point they can be handled. Pick the blackened skin off the outside, although this is not the time for perfection, a little of the char left behind adds flavor. 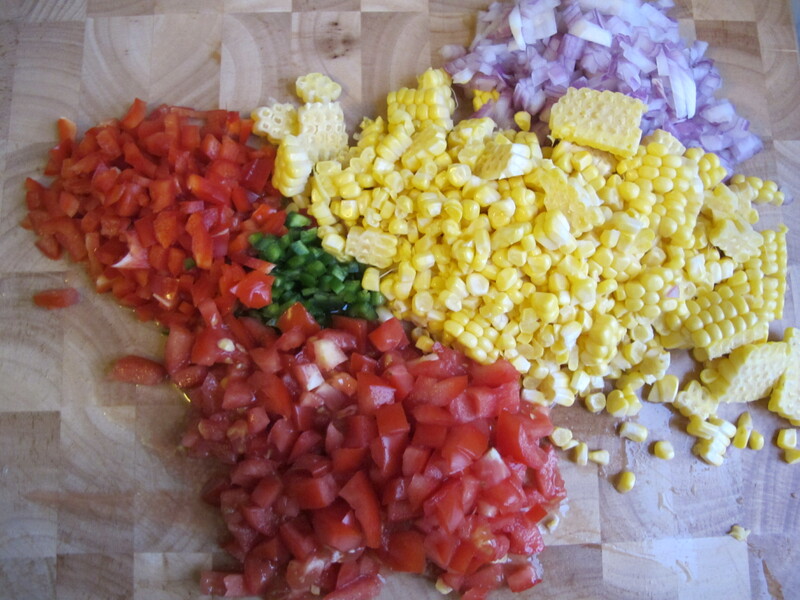 Prepare the filling: dice the onion, peppers and tomato into pieces not too much larger than the beans and corn. This will help the ingredients cook evenly. In a large skillet, heat a splash of oil to a shimmer. Add the onion and peppers and sauté for a couple of minutes over medium heat. Add the corn kernels and spices and raise the heat, stirring to let the corn caramelize a little. Lower the heat and gently stir in the tomatoes and beans. 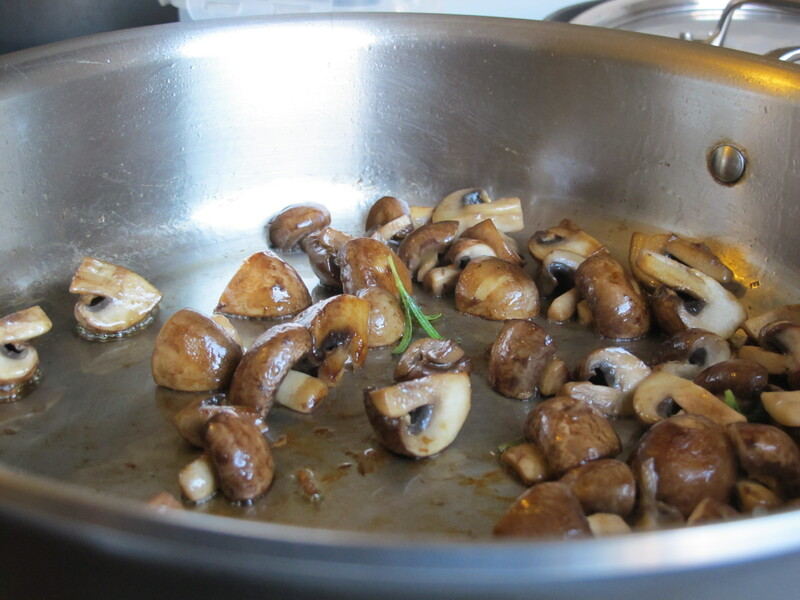 Once they have warmed, remove the pan from the heat and set aside. Stir in 3/4 or so of the cheese, trying to keep it in chunks. Make a slit down the side of each poblano and scoop and rinse the seeds out. 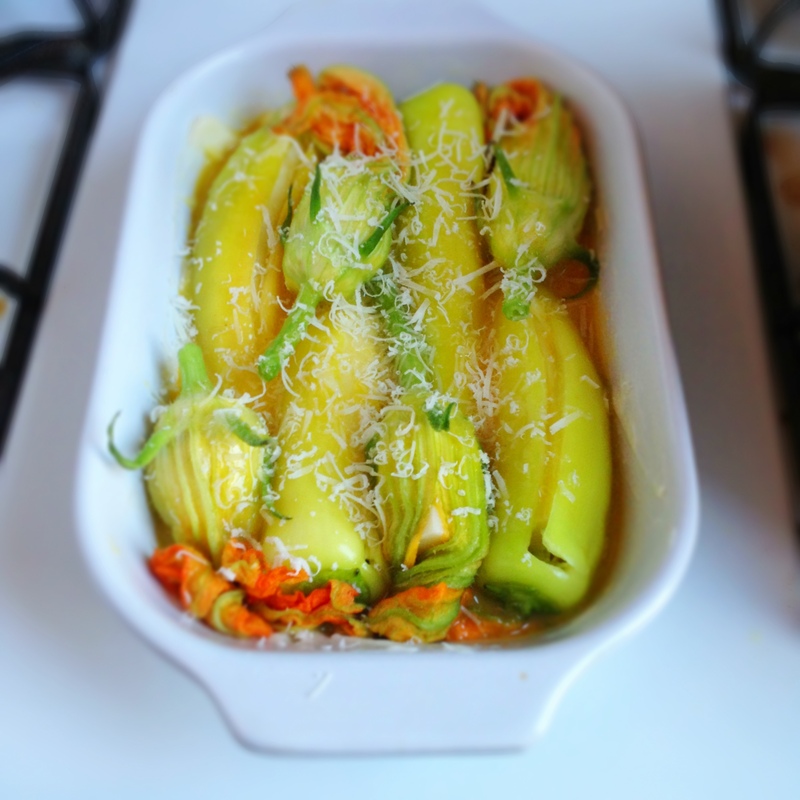 Place the, slit side up in a baking dish that just holds the peppers without a lot of room to spare. Spoon the vegetable filling into the poblanos, filling them generously and pouring any accumulated juices over the pan. Crumble the rest of the cheese over the top and bake for about 15 minutes. Serve with rice and a drizzle of chipotle salsa roja (if you like). 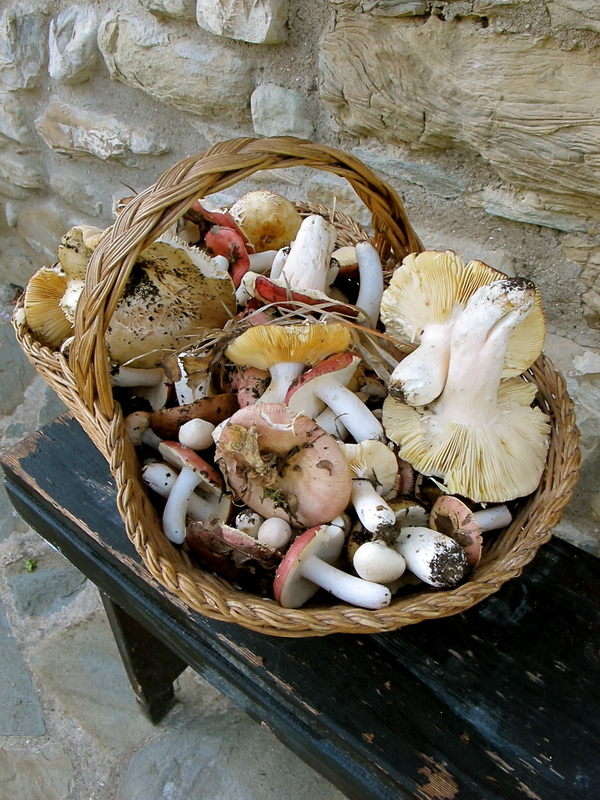 Inspiration: What’s in your shopping basket? I was unloading my shopping bags onto the counter and loved the pile with all the shades of greens, reds, and orange. I had just grabbed a lot of produce that looked good at Essex Street Market in the LES putting together a loose meal plan in my mind as I went along. 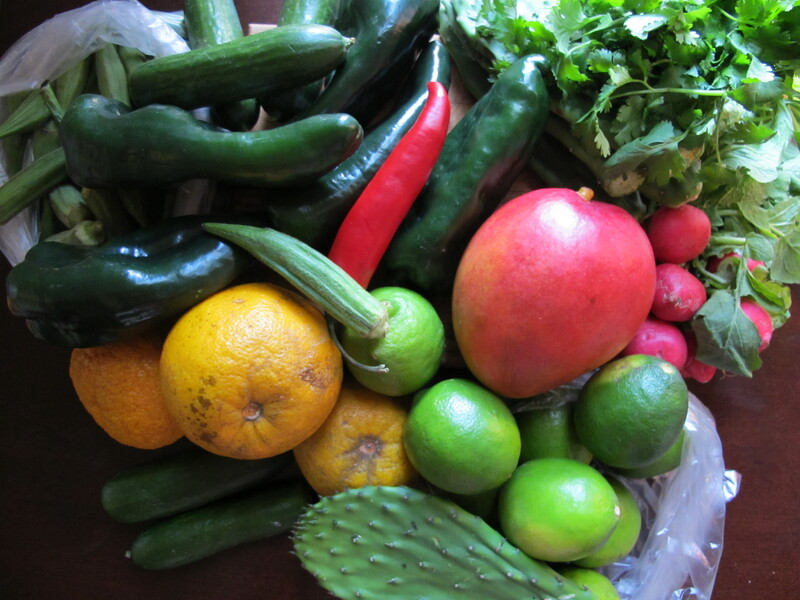 I got okra, Persian cucumbers, poblanos, cilantro, radishes, limes, nopal cactus paddles, red chiles, and sour oranges. 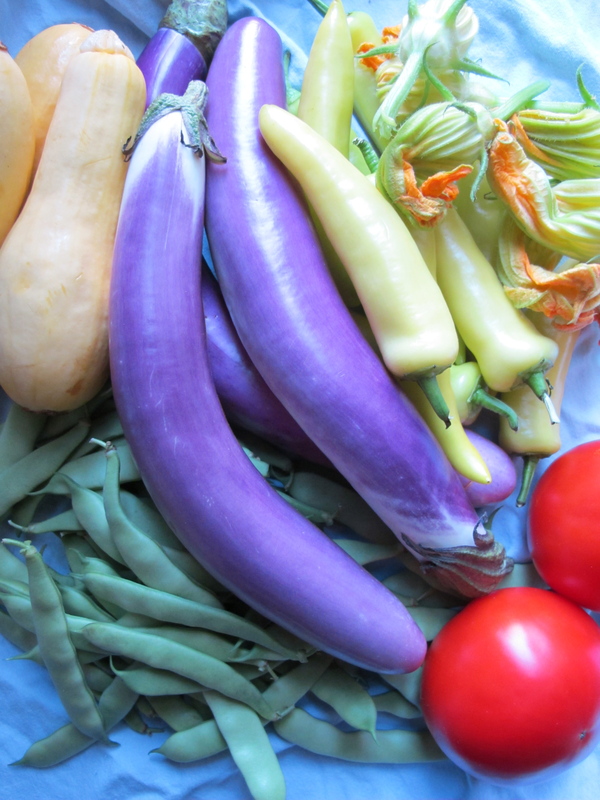 It looked like a summer still life, and it makes being (mostly) vegetarian exciting when one has beautiful fruits and vegetables to cook with. So far, we’ve had cilantro, citrus, and chiles in ceviche, crisp radish and cucumber snacks, and I’m working on nopal and poblano tacos. I’ll probably roast the okra with chipotle and do some vegetable chiles rellenos. 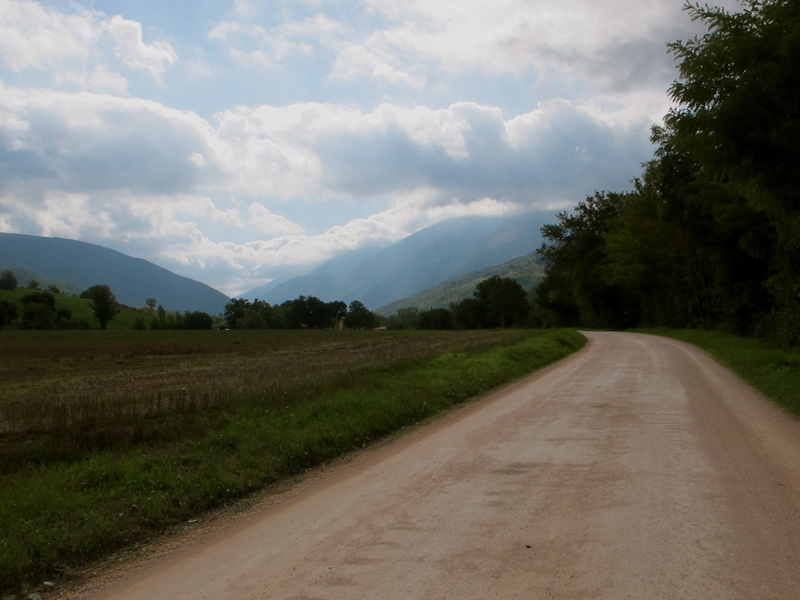 It got my thinking: how do most people shop and where do you get your inspiration? Do you plan ahead and then shop or look for what’s good and plan your meals from there? 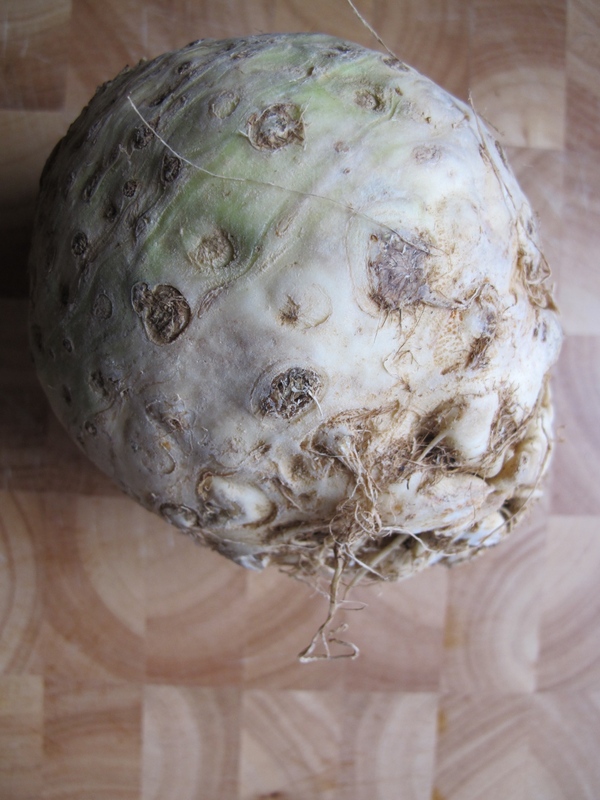 Do you research before you buy a new strange vegetable or do you buy and then look for what to do with it? This has to be the simplest way to cook okra. 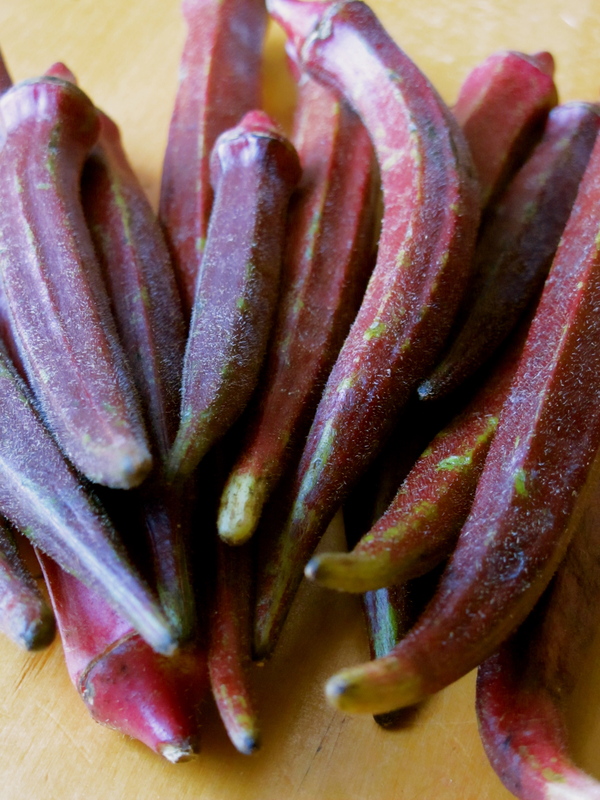 Whole, with a lightly crisped spicy exterior, roasted okra is easy to throw together as part of a meal or as I like it as a tasty salty snack. It’s a perfect little finger food to have with beer, salty and spicy without the oily heaviness of a bowl of chips. 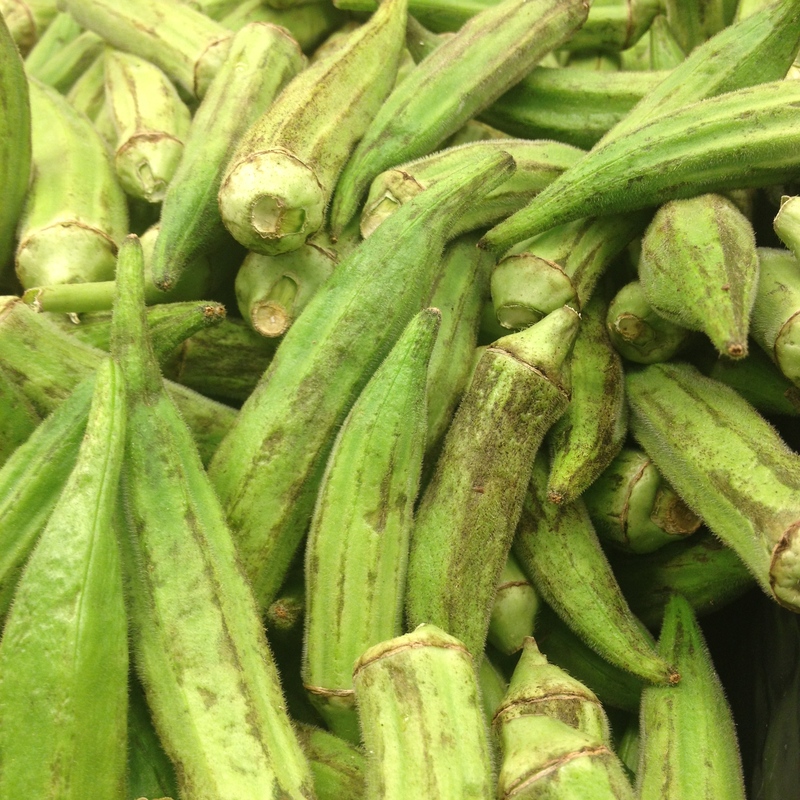 I have tried a few different methods of making roasted okra: slicing it into quarters and tossing it with slivered chiles and onions, tossing whole pods with spices, corn flour and corn starch, tossing whole pods with oil, corn starch and spices, low heat, high heat, you name it. Trial and error brought me to conclude that the simplest, most predictably successful method was to toss whole trimmed pods with oil, then lightly coat them with a cornstarch and spice mixture and then roast them at high heat on a large baking sheet. Before I detail the recipe I use here, I’ll explain a couple of the problems I’ve had with other methods. First, quartering the okra and roasting them with chiles and onions is tasty, but it’s not as crisp as the whole roasted pods and at high heat (to try to crisp them up) the chiles and onions tend to burn before the okra is done. Second, adding corn flour (which I use when I fry okra) adds a little extra crispness to the exterior, but the spice coating tends to be clumpy and not adhere as well. Third, my trigger-happy smoke detector taught me to always coat the okra with oil BEFORE putting it on the baking sheet! I tried drizzling the okra with oil while it was on the pan once and the oil that was on the pan started burning and smoking, the smoke detector was shrieking and I was standing in the hall frantically waving a plastic cutting board at the ceiling to get it to shut up! Finally, low heat doesn’t brown the exterior quickly enough, so by the time the exterior has crisped up, the entire pod has collapsed into mush. One of my favorite spice blends for roasting okra is a vaguely Indian mixture with cumin, ginger, and chile, but I say try whatever seasoning suits your fancy, as long as the spices are finely powdered so that they will stick to the okra – in other words, no big flakes of oregano leaves or rosemary. They will just fall off and burn. I have also used coconut oil instead of regular vegetable oil which compliments the curry-esque spice mix. 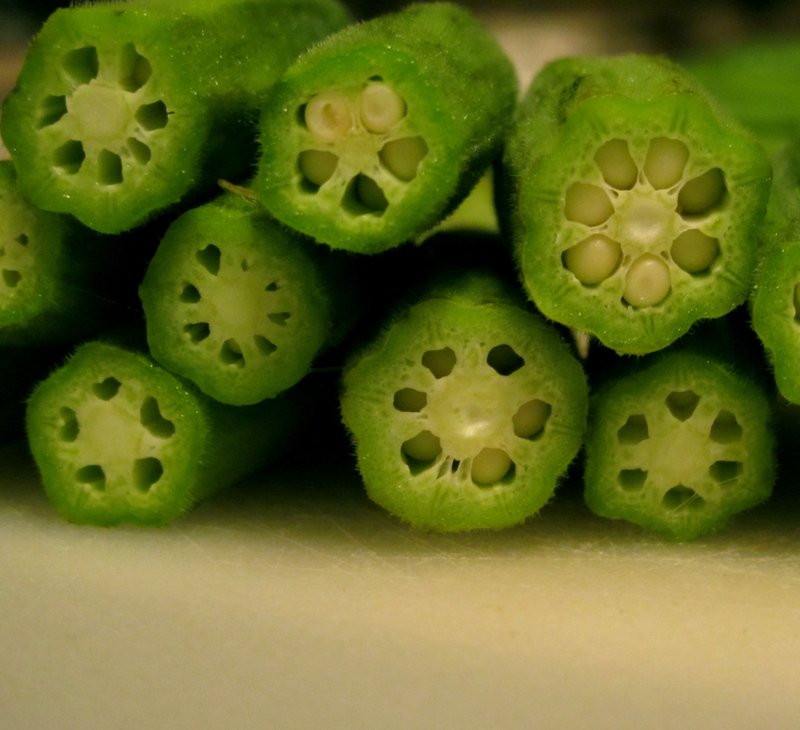 Trim the stems of the okra down to within ¼ to 1/8 inch of the top of the pod. Wash and drain thoroughly in a colander, shaking off as much moisture as you can. 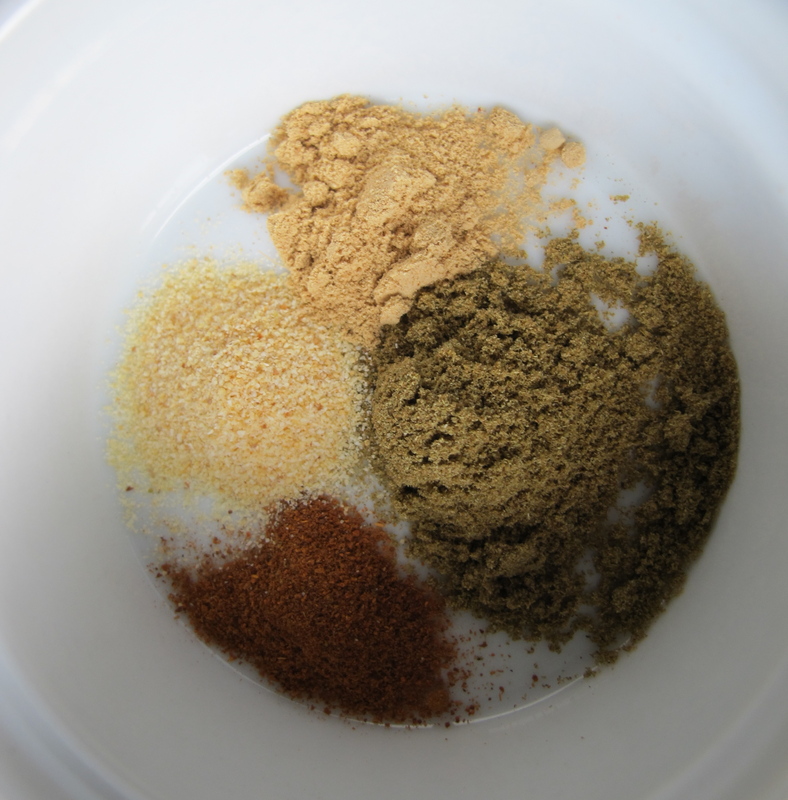 In a small bowl, thoroughly mix the spices and cornstarch so that the coating on the okra will be even. 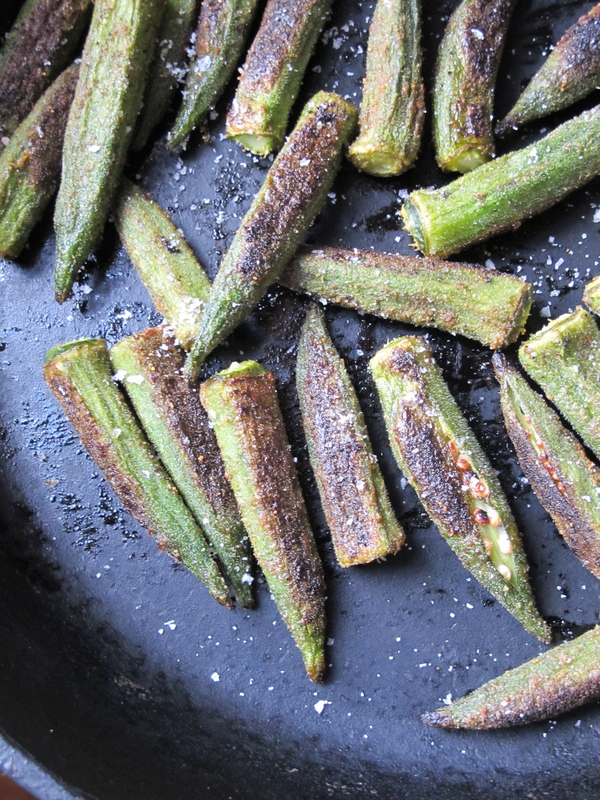 In a large bowl, toss the okra with the oil, coating each pod evenly. 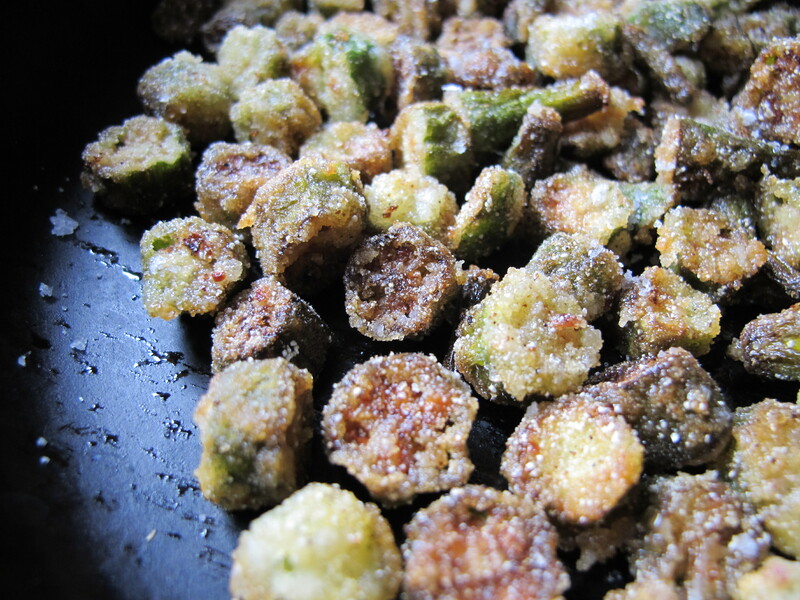 Sprinkle the spice mixture over the okra and the toss again, lightly coating each pod. 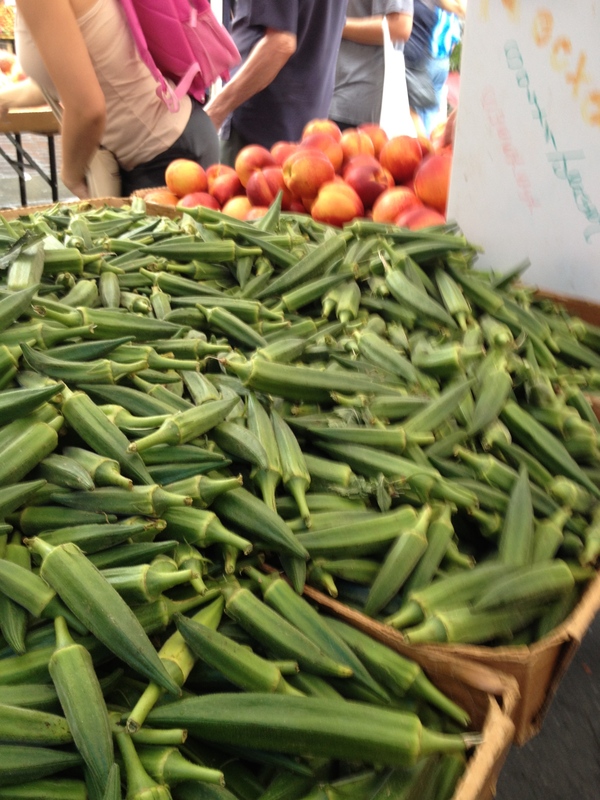 Scatter the okra onto a large baking sheet, giving the okra as much elbow room as you can. The browning happens where the okra is touching the pan and NOT touching its neighbor which would cause it to steam and not roast. Place the pan in the oven and cook for 12 to 15 minutes (or until the okra is browned to your liking – I think my oven may be a bit fiercer than some others). 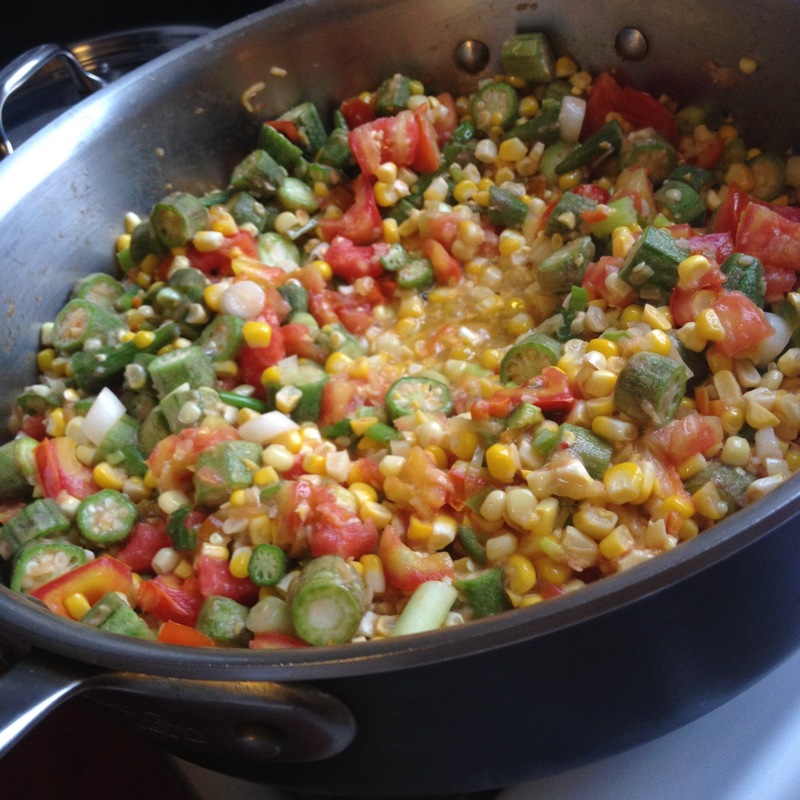 Give the pan an occasional shake to turn the okra, giving each side time on the pan’s hot surface. 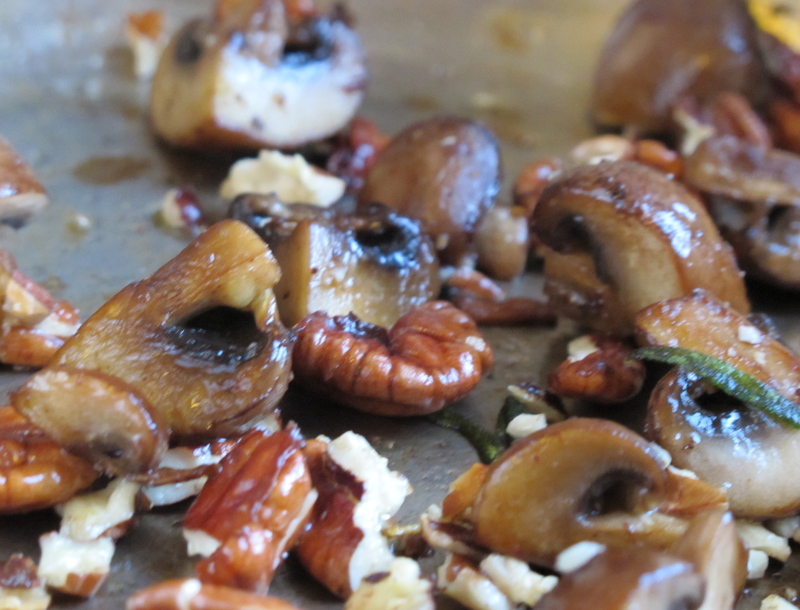 Remove from the oven and allow to cool slightly before checking for salt and devouring. I used to eat “dirt pancakes” when I was a kid. My mom cooked and baked with whole grains, so whether it was biscuits or sandwich bread or cake or pancakes, they would be hearty, honey-sweetened, and bran laden. And in the same spirit that draws children to gummy worms, “ants on a log” and to think that anything gross is hilarious, we named a humus-colored Saturday breakfast “dirt” buckwheat pancakes. We ate them hot off the griddle and smeared with honey or molasses. 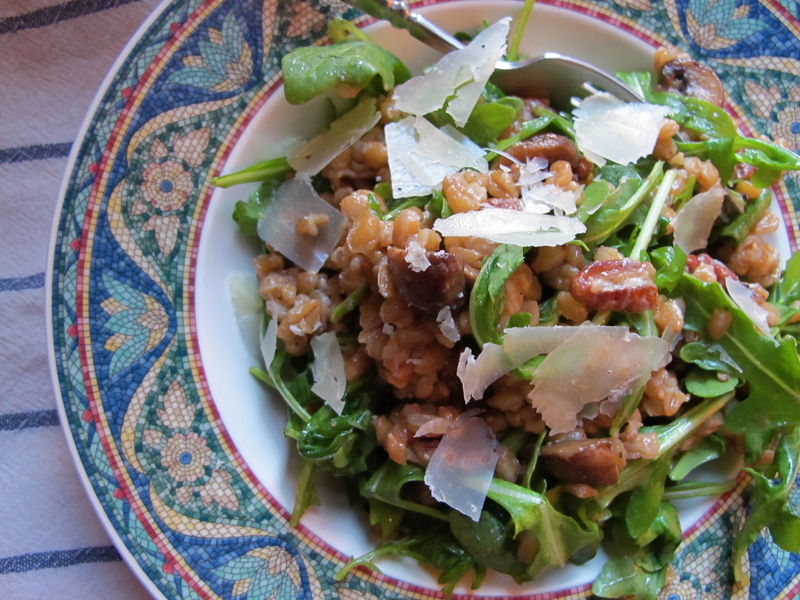 I loved the earthy, nutty, mineral flavor, especially with the sweet iron tang of molasses. 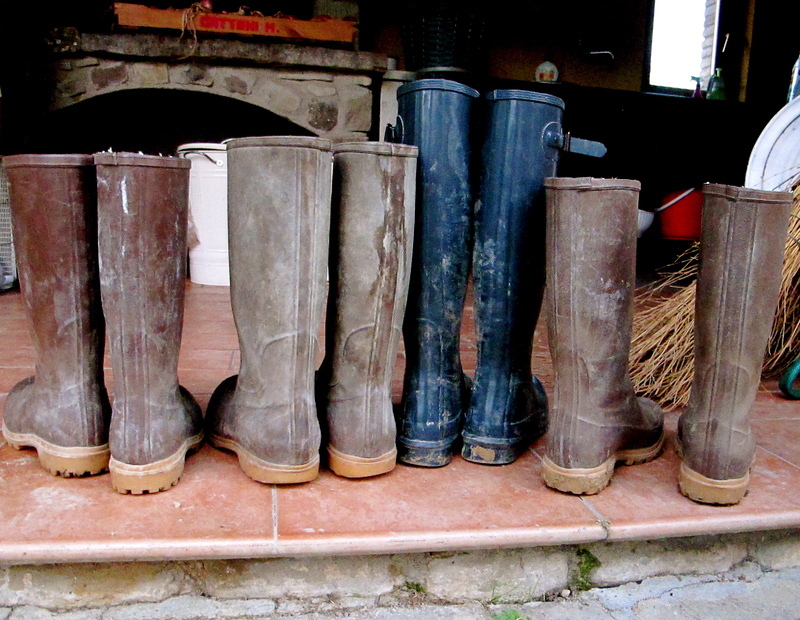 And bonus, they kind of looked like mud pies. I don’t remember using buckwheat for anything besides pancakes until I was introduced to soba noodles as an adult. Soba is a Japanese noodle made with buckwheat and wheat flour (I look for buckwheat as the first ingredient when I buy it) and is not only hearty and flavorful both hot and cold, but does it in about half the calories in white wheat pasta. I don’t think of myself as a “health food” cook, but the palate that I developed as a child makes me crave bright, fresh flavors that also happen to be nutritionally rich, un-messed-with foods, fruits, vegetables, and grains that are colorful and intensely flavored. I think that’s why I love that identifying fragrance and flavor that buckwheat has, unique and rich; that it happens to also be good for me is a bonus. This is a one of my favorite ways to eat buckwheat – slightly chilled, slippery with toasted sesame and spicy with Sriracha hot sauce and crunchy with jewel-like strands of beautiful vegetables. It needs nothing and can stand alone as a perfectly satisfying lunch, but if you want to gild the lily, it is outstanding when accompanying broiled salmon or mackerel. 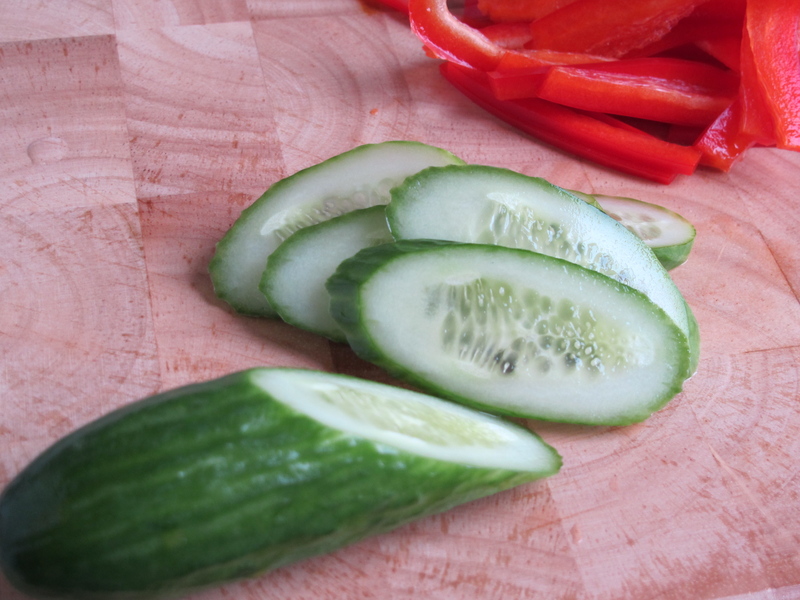 Prepare the cucumbers, pepper, and carrots by slicing them all into fairly uniform match sticks. I cut the cucumber on a sharp diagonal and then stack the slices, slicing them again into slivers. If your carrots are nice and fat you can cut them up the same way; for skinny carrots, cut them into 2 inch-long pieces, then into thirds lengthwise before cutting them into crisp match sticks. Cut the wedge of cabbage across the middle and then shave into thin ribbons. Chop the green onions into thin discs. I cut the vegetables this way not aiming for perfect uniformity, but so that they tangle through the noodles, giving a nice mix of slippery noodle and crunchy vegetables with each fork-full. Cook the soba noodles in boiling salted water according to the package direction, which is usually about 6 minutes. 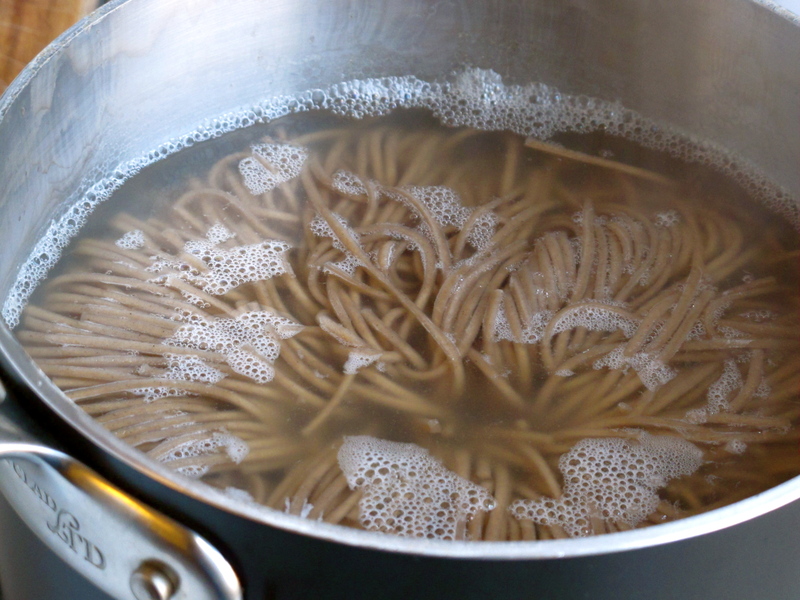 Drain into a colender and rinse with cold water until the noodles are cool. In a large bowl, whisk the dressing together, then toss the noodles and vegetables into the dressing a handful at a time, mixing by hand after each addition. It’s a lot easier to mix as you go rather than trying to mix everything at once and it gives everything an even soaking of dressing. Serve at room temperature of slightly cool. Whisk the oil, vinegar, and sriracha together in a large mixing bowl. 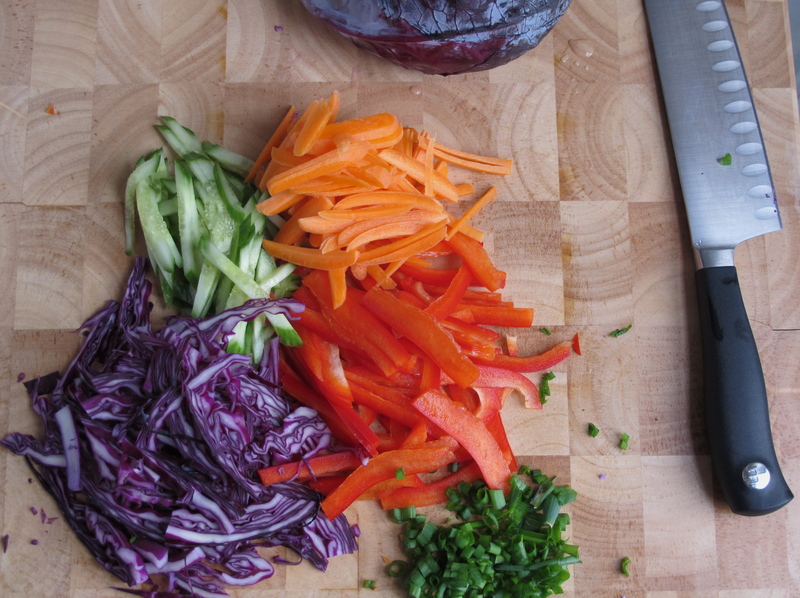 Using a microplane grater, grate the garlic and ginger into the dressing and stir to mix. 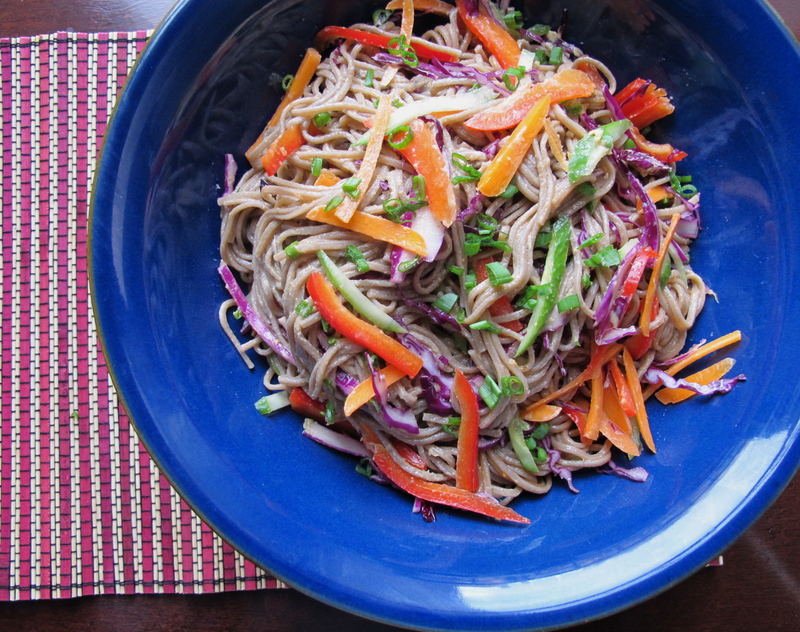 Let the flavors mix while you prepare the vegetables and soba noodles.